Again, pretty! I would think lots of precalc, because of low memory also difficult. Not as impressive effects as in other Atari8bit demos (well, the standards are preety newschool there ;) but still nice and smooth stuff! Mainly focused on 3d math and cycle effects. Both presented very nicely. sooo smooth :) a bit boring though, but who carez? New XL/XE prods in the year 2006?? This absolutely rockz!!! Pretty simple efx, but a nice demo overall. Why double scan line? 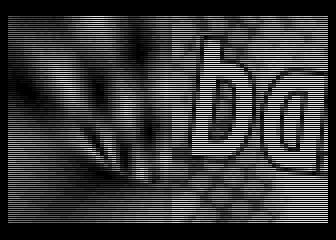 I mean why every 2 scan lines is free? Good to see Mikey coding. But I miss a 3D fish here. :) And why have you used Konop's gfx mode and not mine? page created in 0.019964 seconds with 15 queries.